The original pin-up girls loved high-rise fits because of the way they nip in the waist and flatteringly accentuate curves. 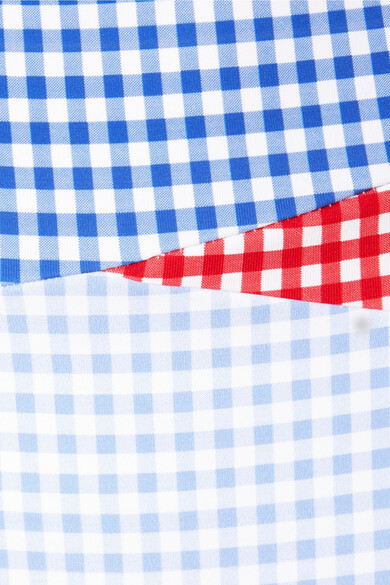 Marysia's bikini briefs do the same, and double-down on the '50s mood with a pretty gingham patchwork. The matching bikini top has the same motif.